The first openly gay professional football has signed a contract extension with LA Galaxy. 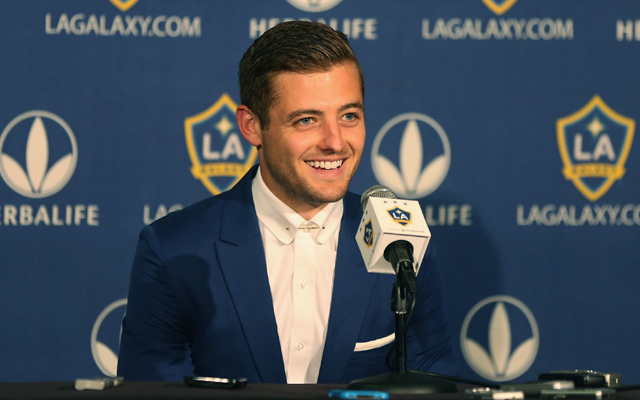 Robbie Rogers, the first footballer to come out as gay in the UK since Justin Fashanu in 1990, has signed a contract extension with his MLS side LA Galaxy. South America Derbies – What are the biggest matches in South America? Ronaldinho to MLS – Is the Brazilian legend on the verge of a transfer to LA Galaxy? Rogers was released by Leeds United in February 2013, upon which he retired from football – aged 25 – and announced he was gay. In May of the same year he revoked his retirement and signed with LA Galaxy, where he has gone on to become one of the best left backs in the MLS. He has played fifteen times this season, recording two assists. His fine form has earned a new multi-year contract extension on improved terms. “We are excited that Robbie will remain a part of our organisation going forward”, manager Bruce Arena said. “He has proven to be a dynamic player in our league and an integral part of our success this year. We look forward to his continued contributions in the years to come”.